Paolo Mojo is firmly established as a leading light on the underground house music scene with a large global following and a consistent production schedule that keeps him in demand all over the world. A true ‘international’, there are not many countries that haven’t had a touch of the Mojo magic these days. He's earned himself a formidable global fan base thanks to his hectic schedule…Womb in Tokyo, Ministry of Sound in London, Avalon in Los Angeles, Warung Beach in Brazil, Wonderland in Ibiza, Chinese Laundry in Sydney and Zouk in Singapore are just some of the venues he graces consistently. It’s all built on the back of a consistent, high profile discography. 2011 starts with a bang with the Essential Selection playlisted ‘Mmmm Daaa’ snapped up by legendary house label Strictly Rhythm for a spring release. His much hyped ‘All Night, Alright’ is to be released on hot Italian label 303 Lovers, home of Manuel De La Mare and Alex Kenji, whose remix of the track is under development. Finally his ‘Welcome To the Factory’ sampling track of the same name has been personally approved by Angel Moraes, and is set for a spring release on Dj Chus’ Stereo Music. 2010 saw successful singles released on Noir (Crazy For You) Hysterical (Disco Kiss) and Younan Music (He's The Man). Remixes of Saeed Younan and Rainer Weichold’s for German label Great Stuff followed, as did his well received Foxhunt / Soca! single. Elsewhere, his track 1983 on Eric Prydz’ Pryda Friends has become a true club classic. He’s also released tracks on Pryda and Mouseville (the only ‘outside’ artist to do so) and a varied and vast list of other labels.. Bedrock, Saved, NRK, Cr2, Toolroom, Renaissance, Great Stuff, Positiva, EQ Recordings, Factomania, Little Mountain, Curfew Nervous, Ego Records.. the list goes on. 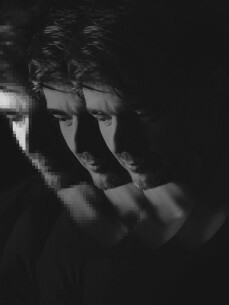 At the heart of his work lies his own label Oosh, which over the course of the last three years has landed him two BBC Essential New Tunes and two Beatport overall top ten hits. Pete Tong also named ‘JMJ’ (2007) and ‘Sirena’ (2008) his ‘top tunes of the summer. The label has expanded to include the cream of house and techno producers such as Wally Lopez, Rene Amesz, DJ Yellow, Noir, Jim Rivers, Juan Sanchez, King Unique, Alan Fitzpatrick and Saeed Younan and the first Paolo Mojo ‘Ten To One’ compilation release will follow in February 2011. His associated podcast Ooshcast has become one of the most popular downloads around since its launch in December 2009. Its no surprise then, that he was name checked as one of the hottest producers of the year in 2008 by Pete Tong on BBC Radio One, and has scored two well received Essential mixes for Radio One already. On the compilation front he has been described by IDJ Magazine as ‘the master of the mix cd’ For evidence of this look no further than his award winning Balance 009 for EQ Recordings, now regarded as something of a classic mix compilation, or his Renaissance Digital 001.